Automatically open the correct case on the WebPathLab system by simply scanning the bar code on the slide, cassette or requisition. Typical Specimen Tracking Process. 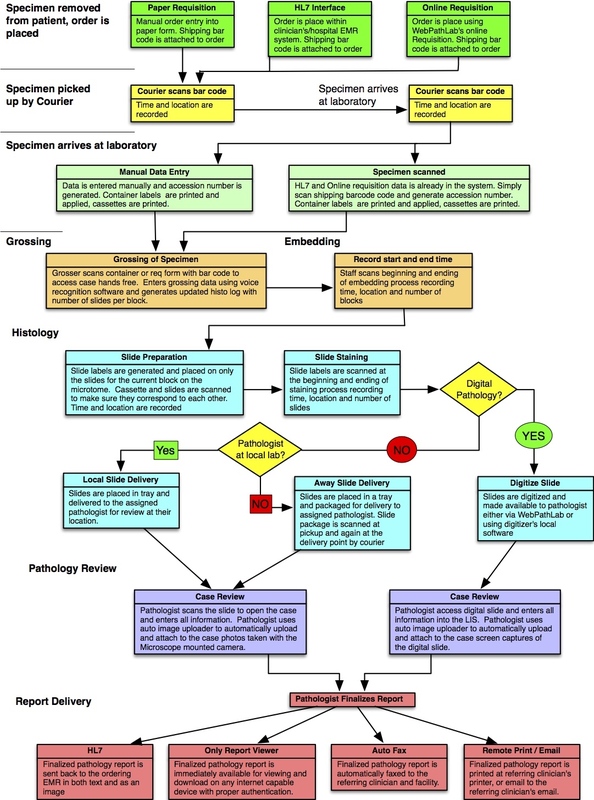 Below is a flowchart displaying how the specimen tracking is used by some of our customers. This module is highly customizable based on the user requirements.